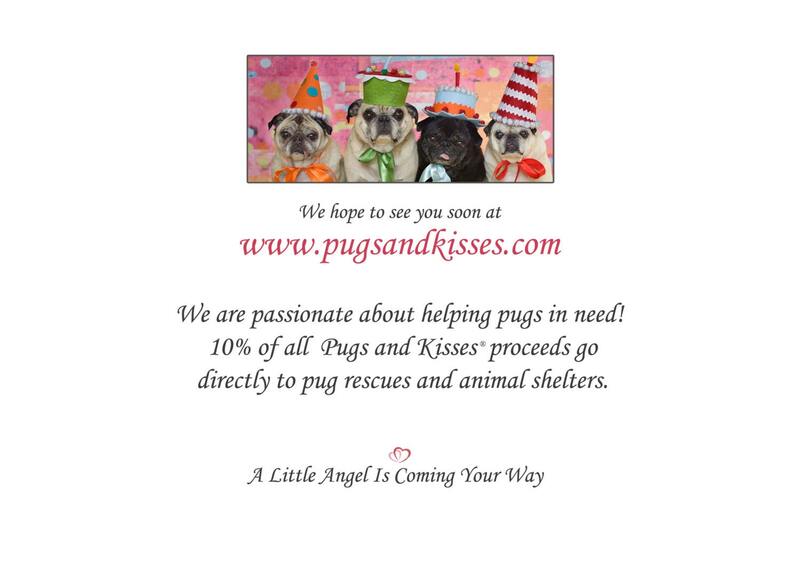 This item is one, "A Little Angel," cute birthday card by Pugs and Kisses. 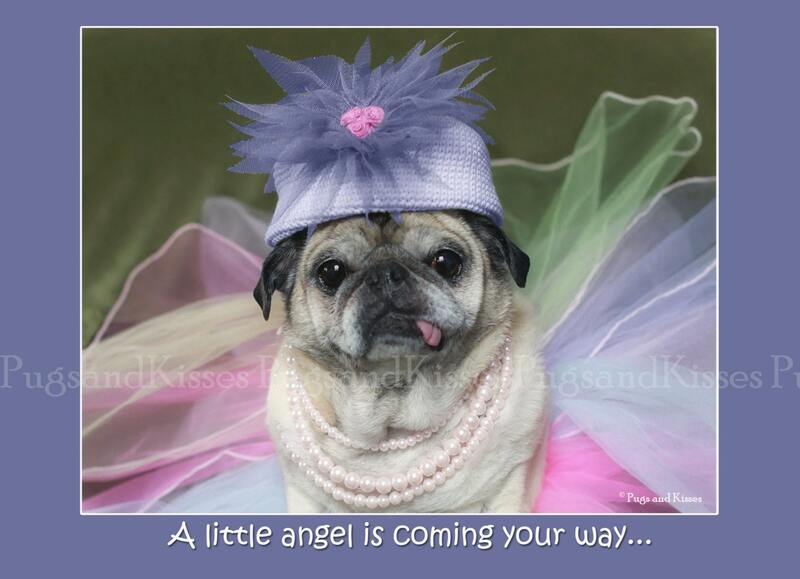 A little guardian pug angel has come to help you celebrate your friends special day! "A little angel is coming your way..."
"...to send you love on your special day! 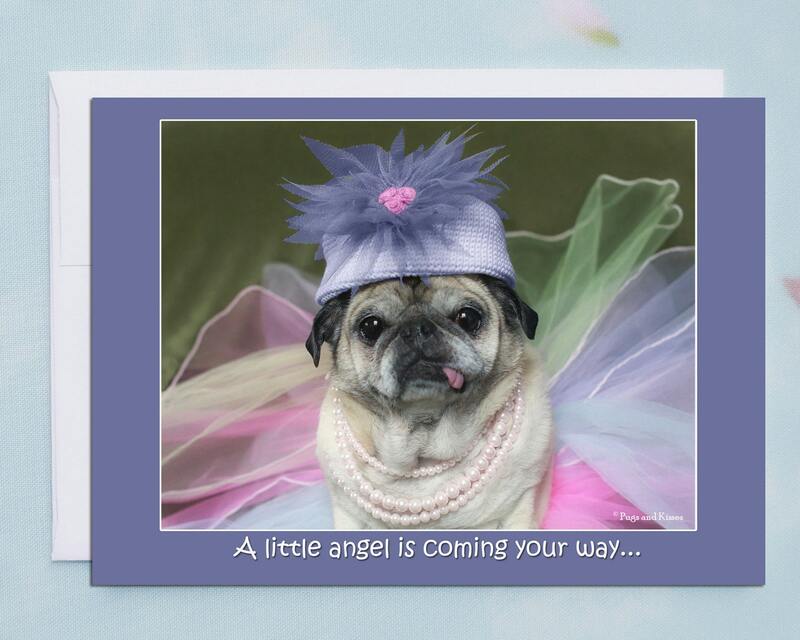 This sweet card is sure to bring lots of joy to your loved one this birthday!